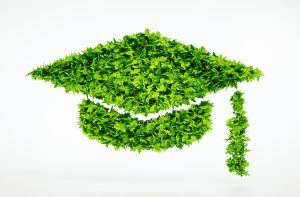 Today’s college students have been taught eco-friendly behavior since they were toddlers, making them perfect for taking on the mantle of water conservationist at their school. Niagara Green University is a water conservation effort specifically designed for colleges and universities and gives students an active role in improving sustainability on their campus. The program encourages students to get involved by conducting water audits, working with local utilities to track water use, and providing alternatives to lower water consumption. Niagara Green University also provides outreach education to ensure long-term results. Students are invited to participate in water conservation research and take part in a competition that awards prizes to students who present the best white paper on the topic of water savings, its impact, and the benefits to the community. Speaking of benefits – while conserving water is front-and-center, Niagara Green University also provides a wealth of other amazing outcomes which include money savings, cutting energy use, protection of water drinking sources, and better aquatic health. What’s really great is that reaching a campus’s water consumption target doesn’t even require an alteration to one’s daily routine when Niagara’s UHET Water-Saving Kits do all the heavy lifting. The kits upgrade a campus’s plumbing fixtures with Niagara’s Water-Saving Kits that dramatically saves water while still delivering powerful performance. Each kit contains Niagara’s dual-flush toilet, an Earth 1.25 GPM showerhead, and faucet aerators. The program takes care of everything with turnkey service that includes complete installation, removal of old fixtures, and the best warranty in the industry. And because the kits are usually eligible for rebates from utilities, schools can make the upgrades with little upfront costs and see a fast return on investment. Additionally, our kits are eligible for Fannie Mae’s Green Initiative where they provide financing for water and energy saving projects. Niagara Green University puts students in the driver’s seat of their school’s sustainability efforts and Niagara makes it easy. Interested colleges and universities can find more information at here.